The client chose to host their annual multinational technology conference and evening party at the five star Sofitel Hotel Terminal 5, London Heathrow. 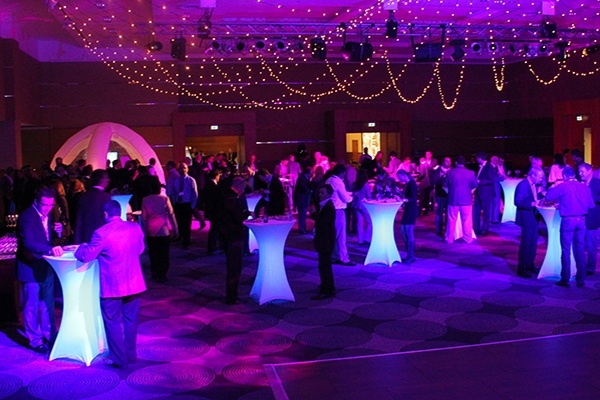 The Penguins Production team were tasked with staging the production of the two-day conference, to educate technology partners in the day, with a party in the evening for networking and relaxation. The greatest challenge was how to produce an integrated conference and party within the timescales that would both captivate and bond a multinational audience, socially as well as professionally. The Sofitel provided an accessible conference venue for a multinational audience of this magnitude. Its close proximity to London Heathrow and free transfers to terminals 1, 2, 3 and 4 meant easy access for overseas delegates. 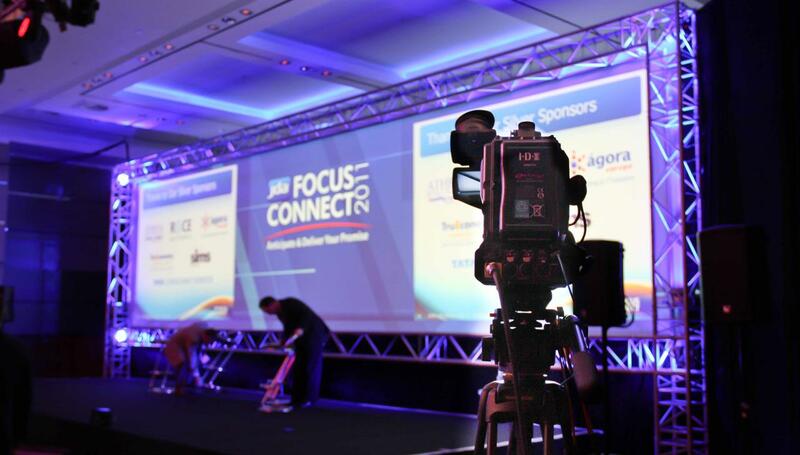 The Penguins team set about staging the conference with creative use of Audio Visual, Sound and Lighting, transforming the Arora meeting room into a worthy multi media conference space. 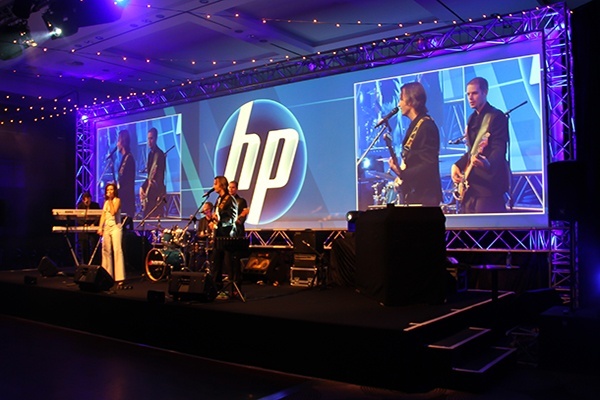 A giant 40ft projection screen linked to live cameras, video and text provided a flexible digital canvas for the presenters. Each speaker was able to present their brand message using a back drop of film intermixed with presentation slides and video footage, resulting in a far more engaging medium, which kept the audience hooked from start to finish. A grand party in the evening followed day one of this technology conference. The main room adjoining the conference was transformed into the ultimate party venue with a fantastic P-light string ceiling canopy. Casino tables and Big Boy’s toys like Wiis, Scalextric and Ski wizard entertained all whilst the retro pub theme provided networking at LED Poser tables and funky cube seating. Live musical entertainment and a Video DJ had delegates reaching for the dance floor, marking the end of a successful Technology event day one.